Sacramento Kings New Era 2017 Official On-Court 9TWENTY Adjustable Cap. As the official NBA On-Court Gorra of 2017, New Era is proud to provide the look that the players of the NBA will wear. The 9TWENTY is the classic option from New Era, with a curved visor, a low crown relaxed fit & an reflective strapback back. 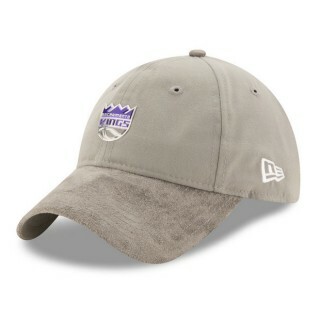 In keeping with this more casual cap, the team logo is showcased subtly with a micro dual chrome badge . The fabrication of the Gorra gives the On-Court range a premium feel, with a light weight crown and a faux suede visor. Authentication comes from the NBA logo on the strapback and the iconic New Era flag to the right hand side.